WASHINGTON, D.C. (January 24, 2019) – Horatio Alger Association of Distinguished Americans, Inc., a nonprofit educational organization honoring the achievements of outstanding individuals and encouraging youth to pursue their dreams through higher education, today announced the 106 recipients of its prestigious 2019 Horatio Alger National Scholarship. These annual scholarships recognize outstanding students, who, in the face of great personal adversity, have exhibited an unwavering commitment to pursue their dreams through higher education. Since the establishment of its scholarship programs in 1984, more than 25,000 students from all 50 states, the District of Columbia, Puerto Rico and Canada have received more than $159 million in scholarships for undergraduate, graduate and technical studies. Administering one of the nation’s largest privately-funded, need-based financial aid programs for college students, the Association will award more than $2.6 million to its National Scholars in 2019. The 2019 Horatio Alger Association National Scholars are students who come from households with an average income of $14,692 per year while maintaining an average GPA of 3.75. Each National Scholarship recipient is awarded $25,000 to apply toward educational costs of the college or university of their choice and will have access to a variety of Association-provided resources including counseling and referral services, internship opportunities and Alumni connections. In addition to the scholarship, each National Scholar will receive a trip to Washington, D.C. on April 4-6, 2019 to attend the Horatio Alger National Scholars Conference (NSC) and participate in college preparedness and other educational sessions. There, Horatio Alger Scholars will have an opportunity to learn about the Association, its esteemed Members and the various support programs in which they can partake during their collegiate careers. In conjunction with the NSC, National Scholars will also be recognized at the Association’s 72nd Horatio Alger Award Induction Ceremonies, during which the Association will induct 13 distinguished new Members – accomplished corporate, civic and cultural leaders. The Horatio Alger National Scholarship Program and National Scholars Conference are wholly funded through private donations from Association Members and friends. 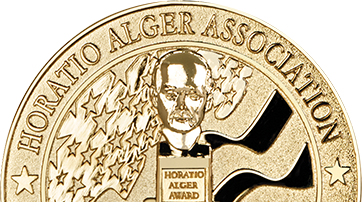 For a full list of Horatio Alger Association’s 2019 National Scholars, please click here. Follow the organization on Facebook, Twitter and Instagram using the hashtag #HoratioAlgerScholar. Founded in 1947, the Horatio Alger Association of Distinguished Americans, Inc. is dedicated to the simple but powerful belief that hard work, honesty and determination can conquer all obstacles. The Association honors the achievements of outstanding leaders who have accomplished remarkable successes in spite of adversity by bestowing upon them the Horatio Alger Award and inducting them as lifetime Members. Horatio Alger Members support promising young people with the resources and confidence needed to overcome adversity in pursuit of their dreams through higher education. Through the generosity of its Members and friends, in 2018, the Association awarded more than $16 million in undergraduate and graduate need-based scholarships across the United States and Canada, and also provided college support and mentoring services to its Scholars. Since 1984, the Association has awarded more than $159 million in college scholarships to more than 25,000 deserving young people. For more information, please visit www.horatioalger.org.